People like to say the NFL is king when it comes to professional sports in the United States, but that's not true. The NFL is king, queen, duke, duchess, prince, princess; whatever royal title you can come up with belongs to the NFL and no one else. Why do I say that? We're in the middle of the NBA Playoffs, NHL Playoffs, and MLB Regular Season but somehow the NFL's schedule release is the dominating headline across sports. What does the 2017 Dallas Cowboys Schedule look like? The Giants In Week 1... Again? I'm so excited about the Dallas Cowboys and New York Giants playing in Week 1 Why are the Cowboys and Giants kicking things off again?! This is the third year in a row, and fourth out of the last five, that Dallas and New York will start their respective seasons in the Lone Star State against each other. The only time that the dubayoo landed on the side of the Giants happened to be in quarterback Dak Prescott's debut, the 2016 season opener. Another notable element to the schedule is the annual Thanksgiving Game. The Cowboys will host the San Diego Los Angeles Chargers. If you think this sounds boring... you're right, but the NFL is all-in on making things work with its new Los Angeles teams. 2016 rookie sensations Dak Prescott and Ezekiel Elliott will undoubtedly bring in massive ratings for the NFL in 2017. 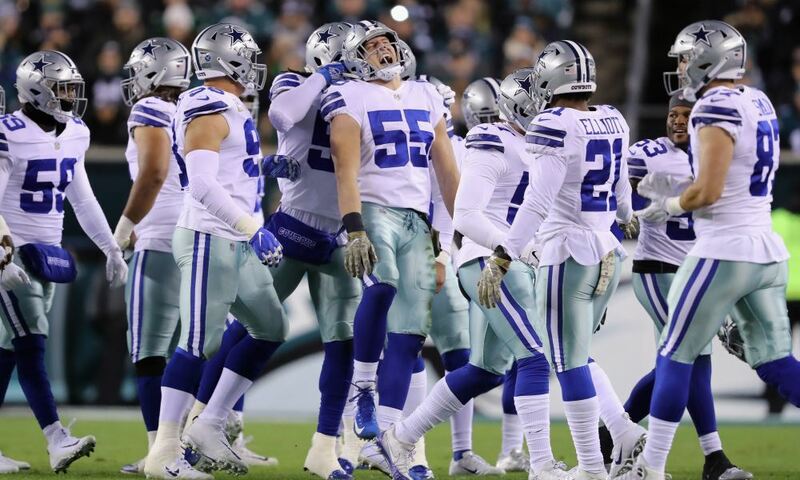 Something else that makes you scratch your chin -- if you root for the blue and silver -- is the fact that the Cowboys' Bye Week is the week following their matchup with the Green Bay Packers. 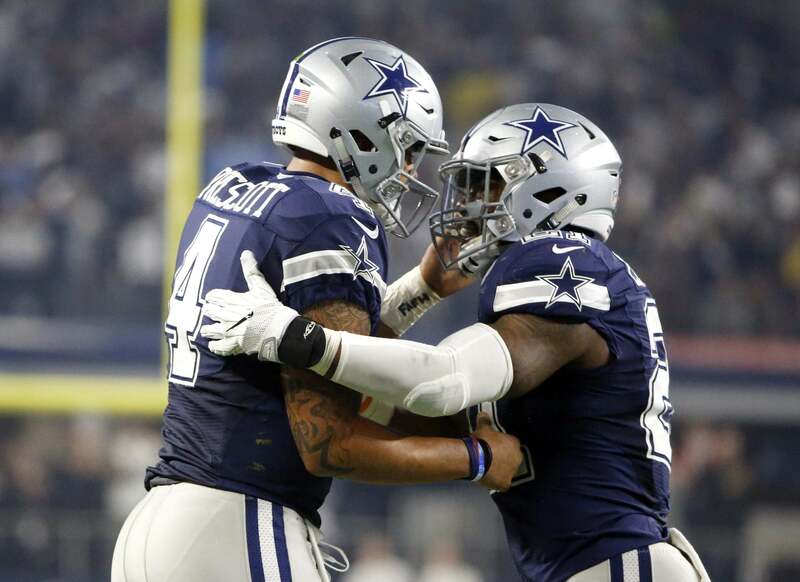 This was the case in 2016 (when Dak Prescott earned a great amount of attention for beating Green Bay at Lambeau Field), and it gives the Cowboys what will likely be a much-needed week of rest after their 2016 Divisional Round Rematch at AT&T Stadium. When Will Tony Romo Come Home To Dallas? Tony Romo will return to Dallas on November 5th, 2017 when the Kansas City Chiefs visit the Cowboys. Of course, there is a very new detail concerning a few Dallas Cowboys games in 2017. While Dak Prescott is now the unquestioned starter under center, his predecessor Tony Romo will be in the booth as the number one color analyst for CBS. Tony Romo's first time calling a Dallas Cowboys game will be Sunday, November 5th when Dallas hosts the Kansas City Chiefs. Romo and his partner Jim Nantz will also be on the call for the Thanksgiving Game against the Los Angeles Chargers. Of course, Tony Romo has already met with some criticism due to his taking of the job that belonged to longtime announcer Phil Simms. Romo's rookie season will be partially spent covering Dak Prescott and Ezekiel Elliott's sophomore ones, as CBS owns the AFC rights and will get to do the games where their conference travels to Dallas. Things will get quite difficult and dramatic -- that's what the NFL and their ratings grabbing techniques are certainly hoping for at least -- after the Thanksgiving turn, though. Post Turkey Day, seven days after to be precise, the Cowboys will host a Thursday Night Football contest against the division rival Washington Redskins. 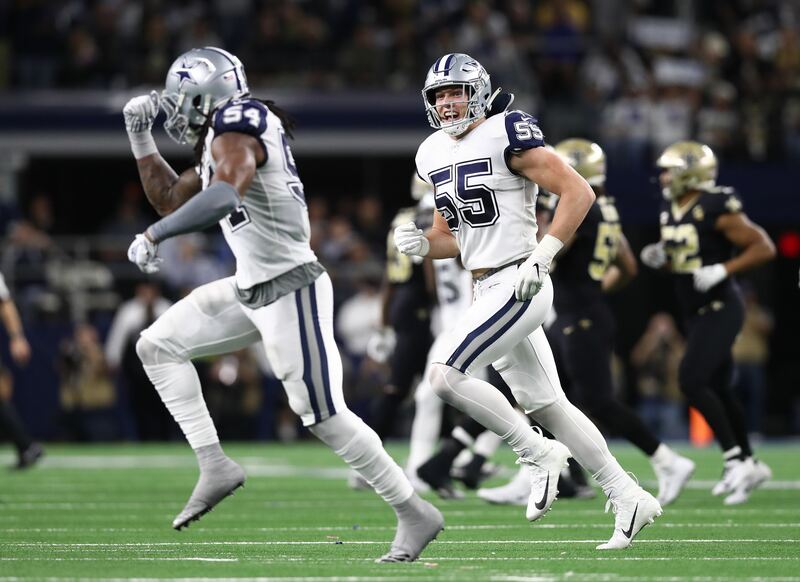 This will be a color rush game so you can expect those clean-looking fresh white jerseys that Dallas debuted in 2015... and an all-yellow get-up that the Redskins tried to get out of. 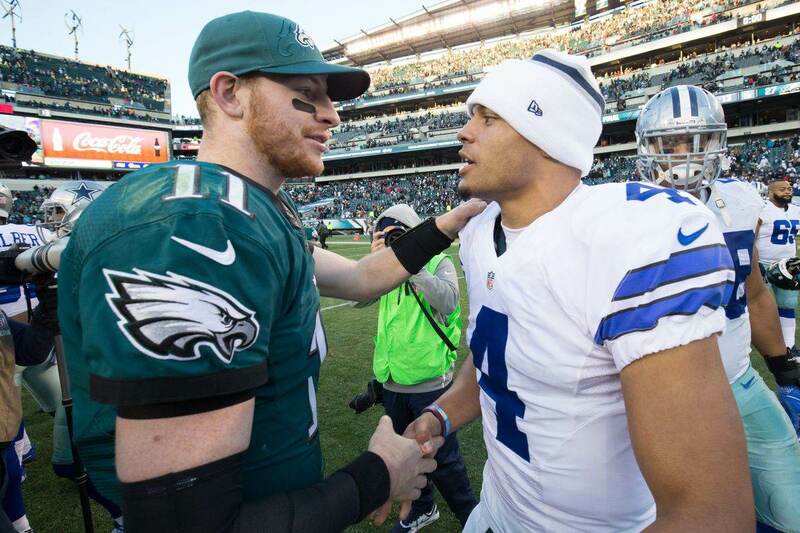 Dallas will then get 10 days of rest before traveling to New York for a classic December showdown against the G-Men. One week after flying home from the East Coast, the Cowboys will have to keep migrating west... all the way. In back to back weeks, the Cowboys travel to New York and then Oakland to play the Raiders in the Bay Area for what could be the last time ever as the Raiders have an inevitable move to Las Vegas in the next few years. The Battle of 4s: Derek Carr and Dak Prescott will meet for the first time on December 17th, 2017. NBC procured the rights to the current iteration of Sunday Night Football before the 2006 season began, coincidentally the year Tony Romo ascended to the starting quarterback position in Dallas. In the 11 seasons since then, the Dallas Cowboys have only ever played an AFC team once on Sunday Night Football - September 11th, 2011 in New York against the Jets on the 10-year anniversary of September 11th, 2001. Since then the Cowboys have played AFC opponents in primetime on Monday Night Football (Buffalo Bills in 2007) and NFL Network's Saturday Night Football (Baltimore Ravens in 2008, New York Jets in 2015) contests. For the Cowboys and Raiders -- two of the NFL's premiere franchises -- to meet on Sunday Night Football is huge. Many wondered in 2016 what type of ratings such a Super Bowl matchup could produce, and now NBC is going to find out... coincidentally Super Bowl LII is also on NBC. AT&T Stadium will host three primetime games for the Dallas Cowboys in 2017. The NFL has a maximum number of times that each team can be featured on primetime. The ratings-raising teams (Cowboys, Patriots, Broncos, Packers, etc.) all typically hit the maximum in a given year. In the least surprising thing to ever happen in the history of the world, the Dallas Cowboys have hit the maximum. Dallas will host New York, travel to Arizona, host Philadelphia, host Washington, and travel to Oakland, as mentioned, when the stage lights are the brightest. Contrary to popular belief, the Thanksgiving Day Game is not "primetime" as the game kicks off at 3:30 p.m. CST. Last year that game featured the last drive Tony Romo ever commanded in the NFL, and the last touchdown that he ever threw. Hopefully the game will carry similar weight for the Cowboys in 2017 as Dallas had already secured the NFC's number one seed two weeks before earlier in 2016. What do you think about the 2017 Dallas Cowboys Schedule? Which games are you planning on going to? Let us know! Tell us what you think about "2017 Dallas Cowboys Schedule Released" in the comments below. You can also email me at RJ.Ochoa@SlantSports.com, or Tweet to me at @RJOchoa!